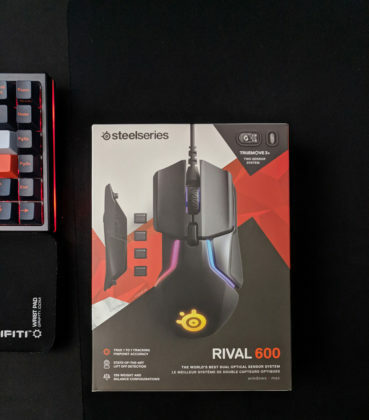 Just bought a Steelseries Rival 600 to see if it is as enjoyable as the Rival (same as the 300). I’ve been a fan of their mice and a bigger fan of their massive QCK+ mouse pads for a few years. 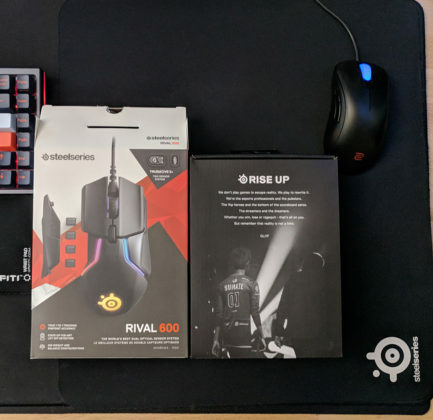 This time around they have released a weight configurable and RGB version of the Rival so I was sold. The mouse comes in at $79.99 on Amazon.com. Touting the worlds first true 1-to-1 e-sports sensor and a lift-off distance sensor, it seems like a good deal. Is it? This mouse is really light without the weights inserted. At 96 grams without the cable, it can be customized to 128 grams for gamers and users who like playing with a lead weight. The mouse has 4 weight slots on each side behind magnetically connected side panels. They are slightly odd to pull off but once you get the hang of it, it’s not so bad. They seemed to have gone for better aesthetics rather than offering an easier pull tab on the top of the panel. This allows for a flusher look where the panel meets the RGB lights. 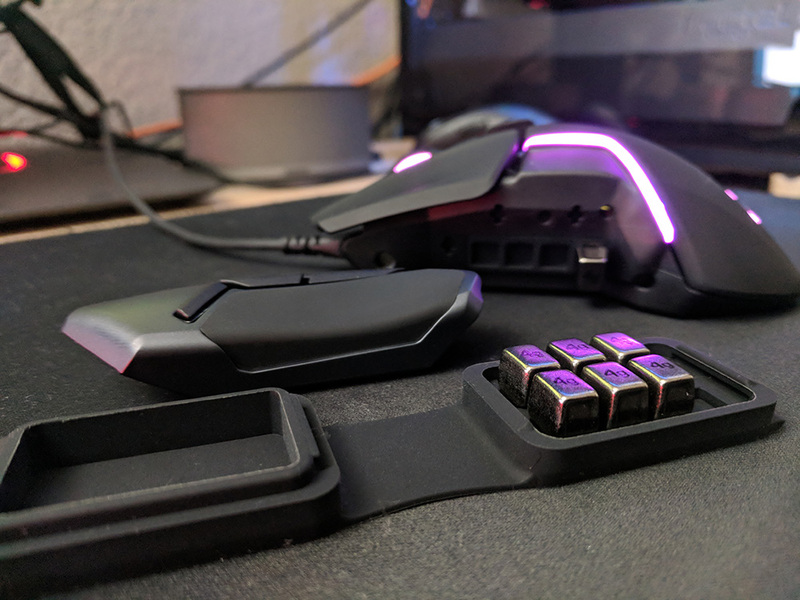 Currently, I only have a single 4-gram weight on each side of the mouse and am playing around with how light I can go without making gaming feel strange. 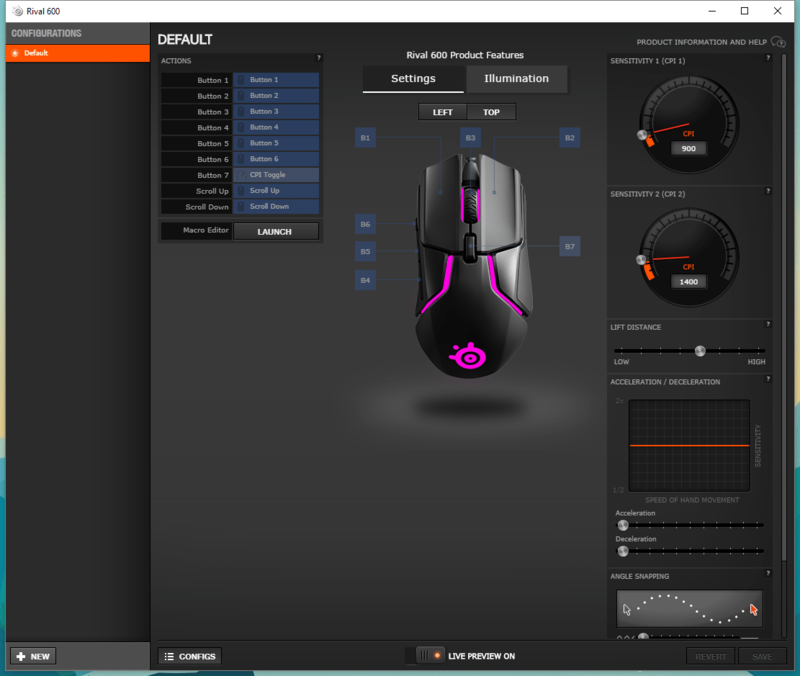 Steelseries software is decent. Simple, clean, not too many options to configure. I do like that you can do almost all of your changes on a single page and you don’t need to click through to get to different settings. The lights offer a lot of configuration and while I haven’t messed around with the customization of it yet, I did like the ColorShift effects. 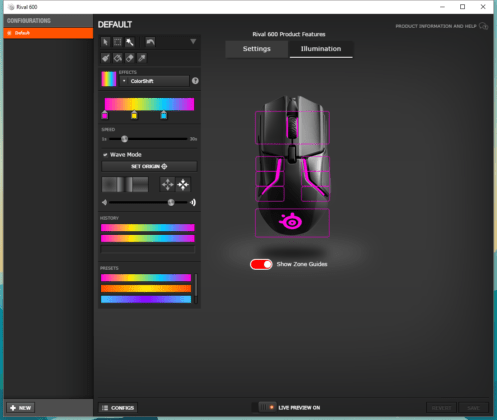 It’s an RGB light shift and the software allows you to pick the range of colors and where the shift starts. From a glance, the mouse looks like it would be uncomfortable to use. I showed it to a friend and he had the same impression I did. I think it’s the way the RGB LEDs look like it splits the mouse up, but when you place your hand on the mouse it fits comfortably. The mouse feels great in my hand. The left and right buttons have a soft yet grippy material covering them and they both have different tactile clicks. As others have said, if your hand is cold it may feel less grippy but after a few minutes, you won’t have any doubts that the grip is fine on the mouse. 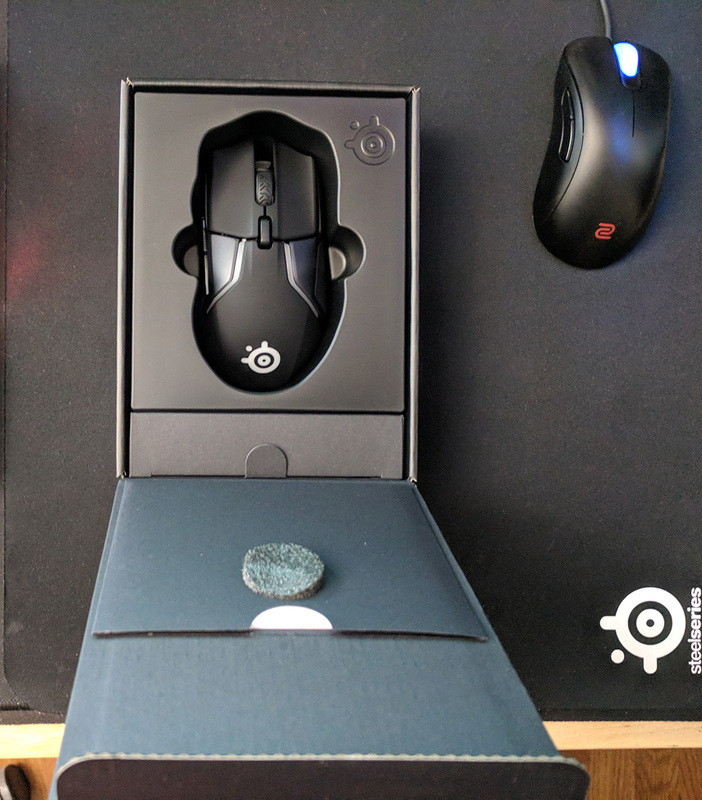 The left mouse button is a very crisp click and the right feels just as crisp but with a deeper noise. The side buttons are a great size, some may say they are too thin but I have no issue with them. They stay out of the way and allow more room to rest my thumb. The 3rd side button is enough out of reach that I won’t hit it accidentally although slightly further away than I would like. (UPDATE): I really dislike the distance on this 3rd thumb button. I have a Logitech G502 with a third button that is far easier to reach. This button requires you to shift your grip on the mouse to press it causing you to think about your mouse far too often. Maybe I hold my mouse differently than the designers. Well, I really like the mouse. I played a few PUBG games with it and it feels great. The mouse slides easily, clicks feel crisp, the material grips your hand, and to me the weight (no added weights) as I currently have it is perfect. While your personal preference for weight may differ, I believe that this mouse offers a great starting weight and includes enough extra weights to make it heavier to your liking. After a few days of gaming with this mouse, I can safely say I would recommend it to anyone in the market for one. 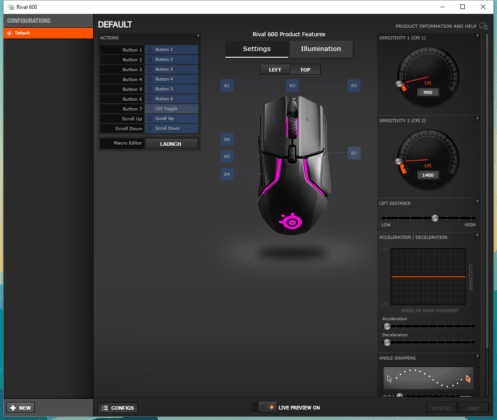 It’s taken me a few days to find the right sensitivity options but playing around with the Lift Distance settings has made me enjoy this mouse more than I thought I would. The Rival 600 feels great in your hand, materials, and design are great. Sensor and lift off sensor are accurate and works well when gaming. The software is easy to set up and configure to your preferences. One of our favorite scroll wheels of any mouse. 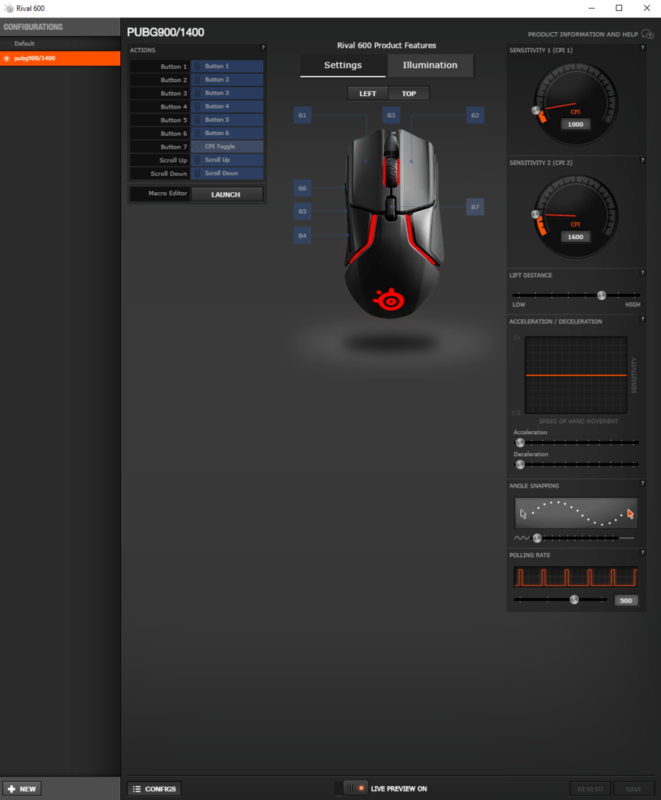 Great starting weight with 8 weights to configure your mouse for the best feel. 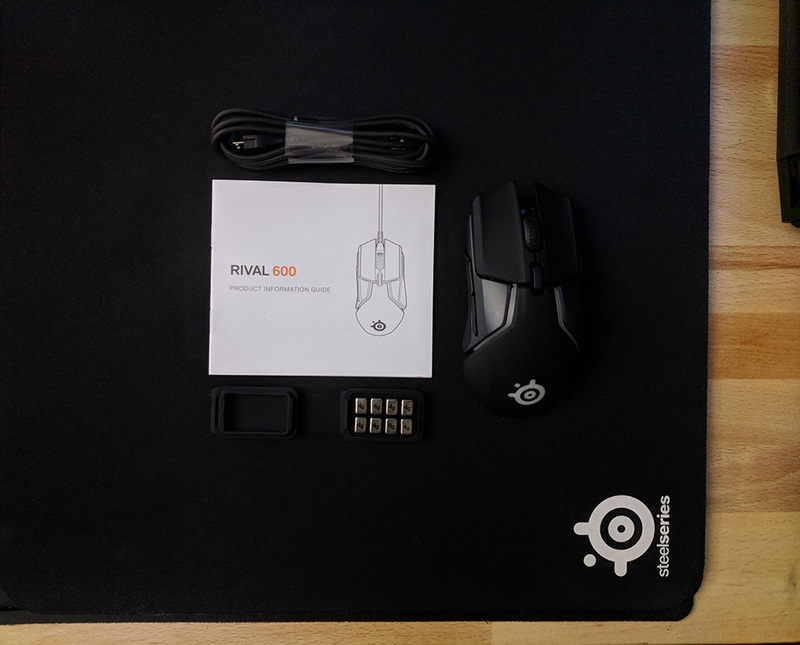 Someone on reddit had asked me to compare the Rival 600 to the Zowie EC2-A, here was my response. This comparison is based on the builds I’ve received of the Rival 600 and the EC2-A. I’m not sure if I got a good build of the Rival, and bad of the Zowie. Materials: Very different. 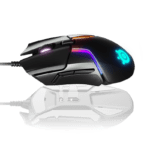 The Rival has side rubber grips, soft touch rubber on the rest of the mouse. The EC2-A has this very slippery plastic that doesn’t grip well at all until your hand is sweaty. Shape: The shape differs a bit between the two. The Rival has a bump on the back that fits my palm and your hand feels more horizontal while using the mouse. The EC2-A feels like it ends a bit too soon, but it’s a very uniform shape from front to back. 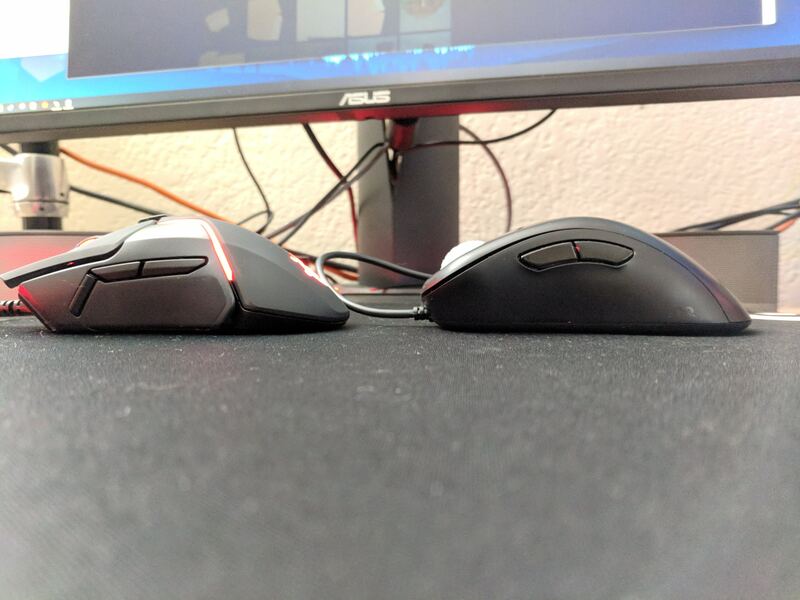 The mouse buttons feel like they have a more downward angle than the rival. 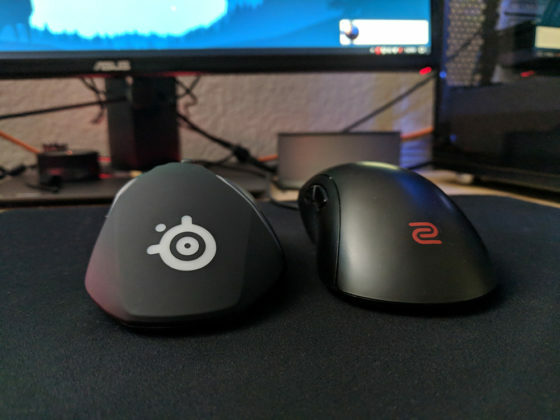 I’ve added another side-by-side picture of them on the post under form: http://www.likeabaws.com/stuff-we-like/steelseries-rival-600-review/ This should give you a better idea of the shape of the mouse between the two. Buttons: The Rival buttons are stiffer than most other mice. Its taken me a bit to get used to. It’s side buttons also take a bit of pressure to activate. The Scroll wheel is great and may be my favorite other than the mx master. The EC2-A clicks are light like that of the G703. The side buttons I really dislike. They have a lot of play to them before the activation which may bug some people. The scroll wheel is ok, very meh tactile feel between each scroll. Build Quality: Rival wins constantly. The EC2-A feels like a cheap toy compared to it. I don’t know if I got a bad version, but it creaks, body panel pieces feel like they move a bit if I tighten by grip. 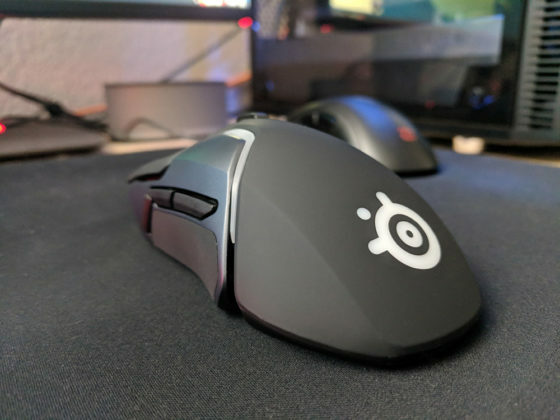 While it sounds like I’m shitting all over the EC-2A, I still find it to be a fantastic mouse and great with gaming. The Rival just checked more boxes for my mouse preferences.